You might need to export users from Active Directory in more than one situation. Good examples include Exchange migration and creating a test Exchange environment. You can imagine how painful it would be to do those tasks manually, especially in a large organization. Luckily, users can be exported easily from Active Directory and saved into a CSV (comma separated value) file. In this article I am going to show you how to do it. Watch the video below for a quick walkthrough and read the following article if you want to learn more. Before we start, a quick word on the CSV files which are used to save users’ data. Lists created in this file format have headers in the first row. Those headers correspond to the names of AD users’ attributes. 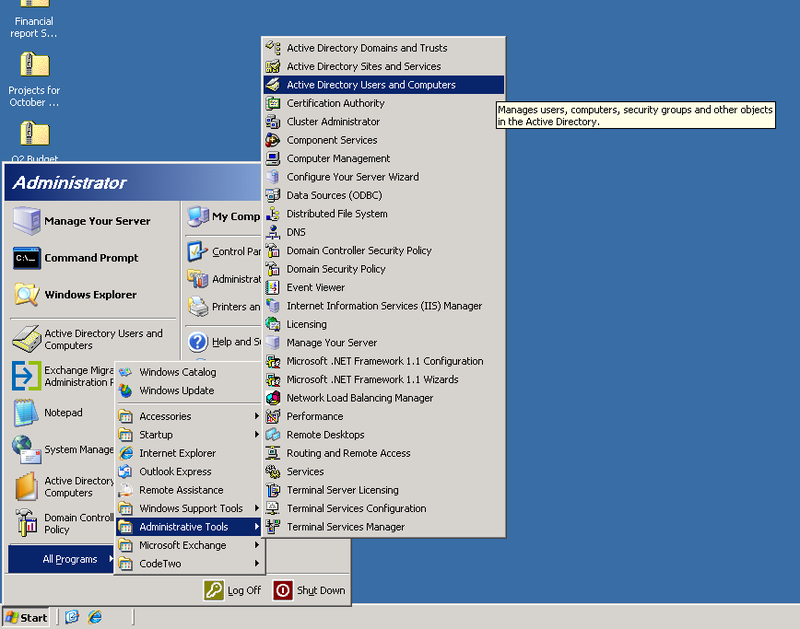 Below the headers, a list of users begins, each row for one user. Users’ attributes are sequenced exactly as in the headers. It is important to know that not all attributes have to be filled. However, if you want to leave certain fields blank, you should stick to the order from the first row. You can edit CSV files using e.g. notepad or Excel. Keep in mind that Excel is much better in this case, as it allows filling many fields at once with the same value. Besides, tables are much better at organizing data, which will come in handy. 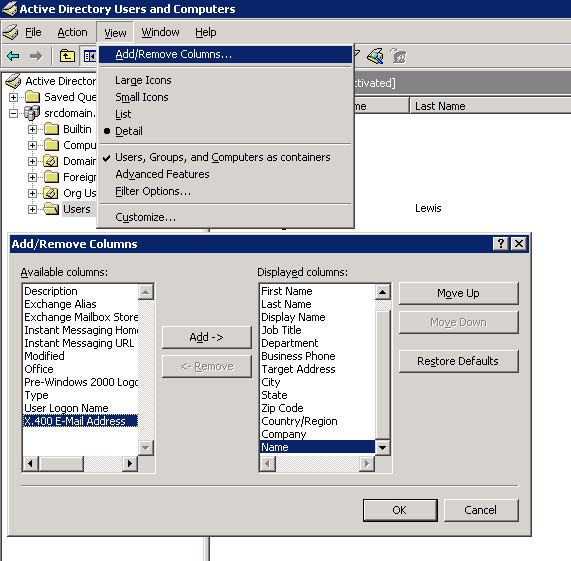 Below, you have three different methods you can use to export users from Active Directory. Every single method results in creating the same CSV file. If you can use PowerShell, we highly recommend the last method, as it is the quickest one. A complete list of users will appear. However, there are also Security and distribution groups included. To get rid of them, use filters. Instead of showing all types of objects, choose “show only the following types of objects”, check “users” and click the OK button. The list will be shorter now. The next step is choosing which attributes to export to a csv file. Now, which fields you choose depends on what you need your CSV file for. If you want to create a migration batch, your file will need only 3 columns: EmailAddress, Password, and ForceChangePassword. If you want to use the list to create users in Office 365, your CSV file will need more columns. In Office 365 Admin’s Centre, Microsoft provides a template with all the required headers. Click here to download it. 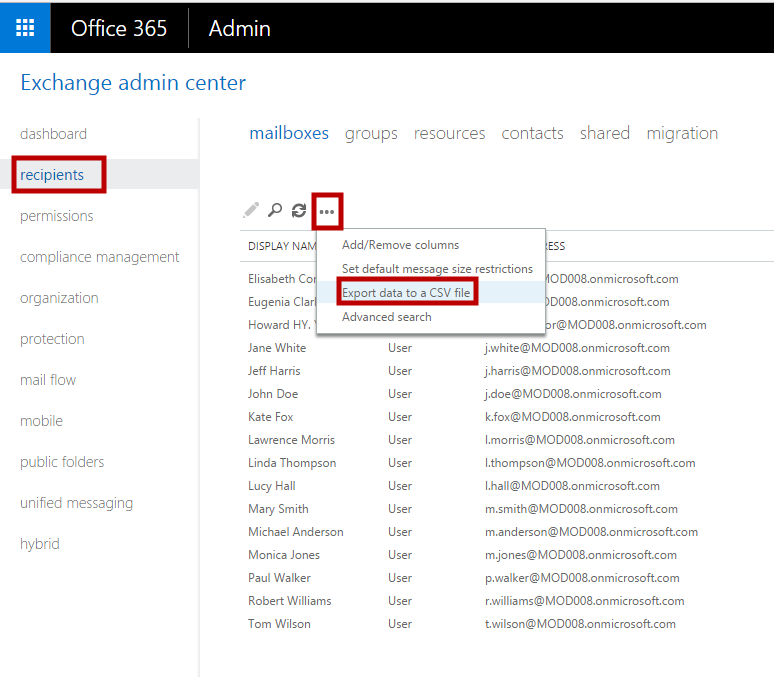 In here, you can either choose name and Email Address for creating a migration batch, or the attributes you can see in the picture above if you want to bulk add users in Office 365. As you can probably see, not all attributes from the previously mentioned template file can be listed. That is why you will need to edit the CSV file manually. But before that, click OK to apply the changes. By clicking on “Export list” in the top menu, you can finally export your users. You just have to name the new file and make sure that it is saved in *.csv format. If you open the file in Excel, it will probably be delimited with commas, but just in one column. To make editing easier, use a “Text to Columns” function and follow the wizard. Process of creating the csv file for a migration batch is almost the same. Instead of 15 headers, you have only 3: EmailAddress, Password and ForceChangePassword. Only Email field must not be left blank and in case a single sign-on solution has been implemented, ForceChangePassword should have the value of “false”. 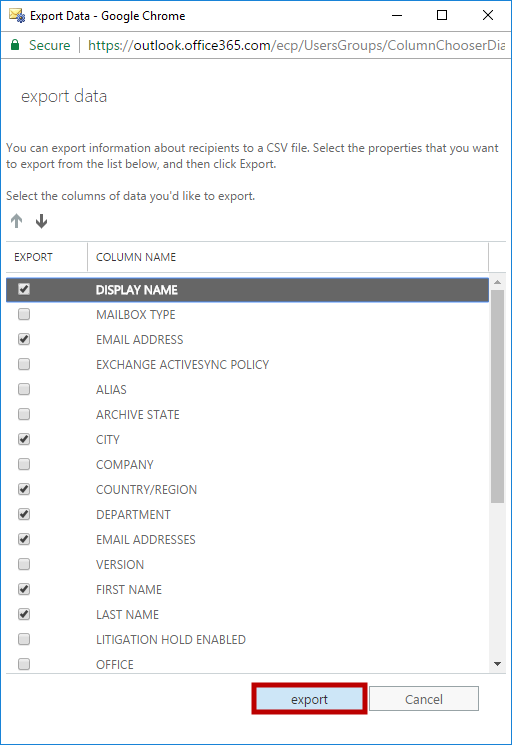 Access your Exchange Admin Center, go to recipients tab, click more options and choose “Export data do CSV file”. Again, like it was with the previous method, there are properties you will have to add manually. If you want to prepare the resulting CSV file for Office 365 import, follow the steps 7-9 from the previous method. There is another, much quicker way to accomplish the title task. You can export users from Active Directory using PowerShell. The cmdlet below exports a complete list of my company’s users to a csv file. Now for a quick word of explanation. 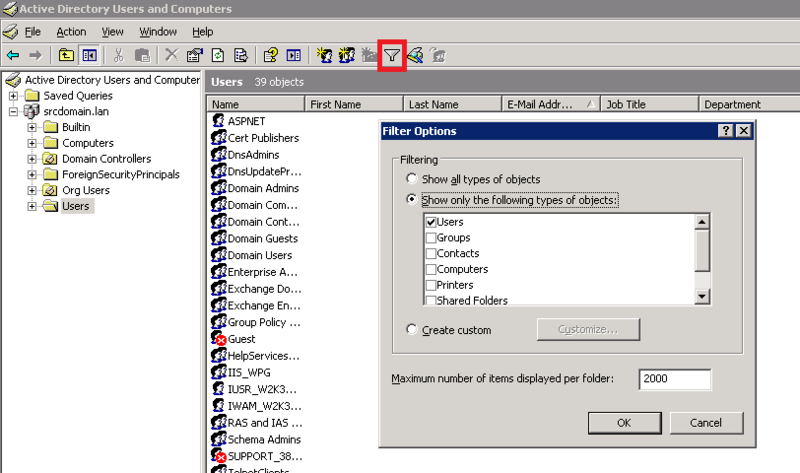 Get-ADUser cmdlet can either pull only one user from Active Directory, using –Identity parameter, or it can pull many users at once with –Filter or -LDAPFilter parameters. In this example, I use the filter to export all users who have the Company AD field starting from “Alpha”. Thanks to that, I will get only the users I want, without e.g. Healthmailboxes which would appear if I used “-Filter *”, instead. As you can see, PowerShell gets the job done. 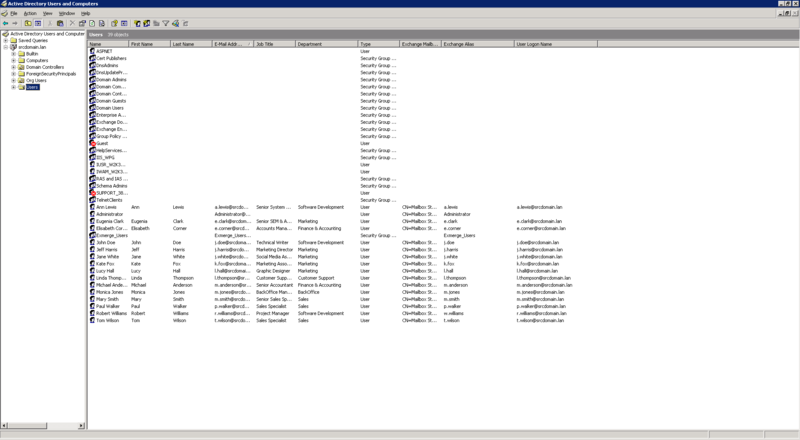 The cmdlet exports all AD properties used in Office 365 import file, so there is no need to spend any time copying and pasting columns like it was the case in previously described methods. All 3 methods result in the creation of a CSV file. Which method you use depends on your environment and preferences. Easy to understand. Thank you for the article you shared about export users. Looks like a few missing steps here. 1. The image in step 3 is the same as in step 4. I think you meant to show the column selection graphic. 2. The export only includes the items in the folder you have selected. How do you export users from all sub-OUs? Thanks for noticing the misplaced screenshot! I don’t know how I missed this earlier. If you want to export users from all sub-OUs, I recommend using PowerShell, as it can target all OUs at the same time. 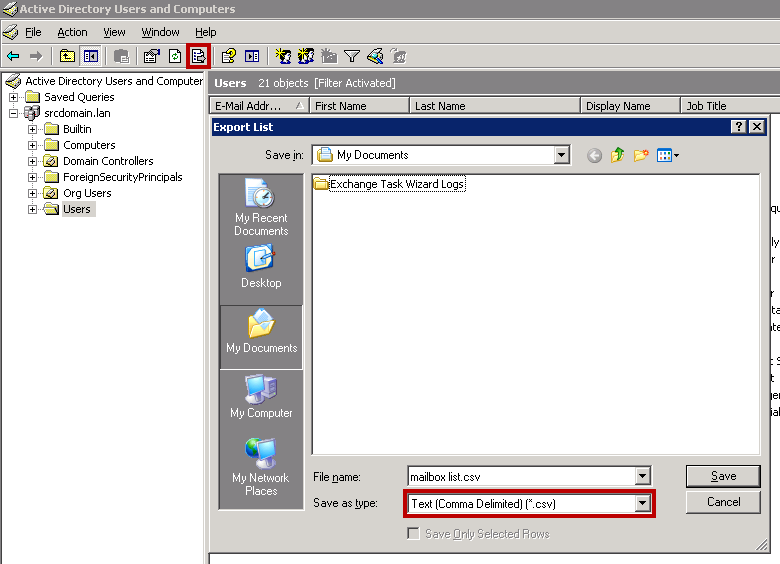 Using ADUC, you would need to go manually to each and every subfolder and repeat the exporting procedure. Thank you. Will share with my IT Dept. Wow, GREAT info, saved me a lot of work! I will use this method to Import emails to Google accounts.